The Envoy sets itself apart from Columbia Plaza’s other four towers with its one of a kind views and highly sought after floor plans. The Envoy’s townhome and duplex style one and two bedroom floor plans offer a level of privacy that is rarely achieved in apartment living. 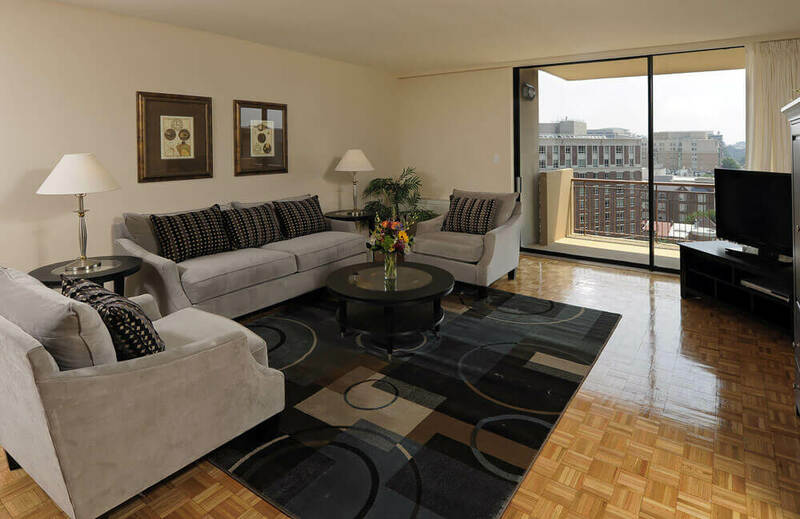 The Envoy also offers standard efficiency and one bedroom apartments with ample closet space and standard finishes including parquet floors, white cabinets, and white appliances.